Sani-Tech® STHT®-W platinum-cured silicone wire-reinforced hose is wrapped with multi-ply reinforcement and 316L SS helical wire. This product is manufactured with an extruded homogeneous silicone tubing I.D. 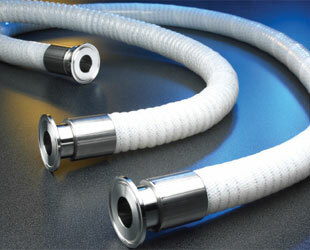 to ensure product integrity, designed for vacuum and tight bend radius applications.